Ok, be honest… are your gardens dull and boring in the spring? Do you need to add some pops of color to your spring gardens, but you don’t know how to get started? Well guess what, you can add (and you totally should add) flower bulbs to an existing perennial garden for amazing spring gardens! 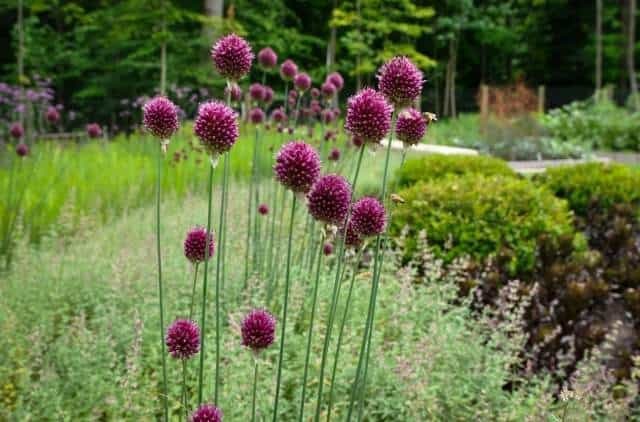 This fall I’m mixing alliums into my perennial gardens, and I’m super excited because they might just be the perfect flower garden bulb. I have a few different types of spring flowering bulbs planted throughout my perennial gardens, but I don’t have any alliums. So when Longfield Gardens reached out to me and asked if I wanted to try some of their alliums in my garden this year, I jumped at the chance. I love alliums! They have such a unique look to them. You can’t miss those distinct flower poofs standing tall on skinny stems. Allium flower bulbs make an exciting addition to any perennial garden bed either by themselves, or mixed in with other spring bulbs. They don’t need much space, so they are super easy to tuck in between your existing perennial plants for pops of amazing spring color. Plus they are low maintenance and pest resistant! The bunny population has exploded in my garden this year, and many of my spring blooming flowers (especially my tulips!) took a major beating. Well guess what… bunnies don’t like alliums, so they will be perfect in my garden next spring! Oh, and they are also deer resistant plants for those of you who have problems keeping Bambi from eating all your flowers. See, I told you allium is the perfect flower garden bulb! Chomped tulip flower – those darn bunnies! 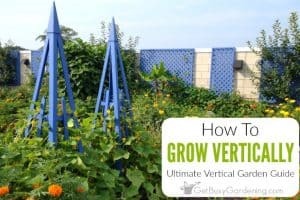 In my Perennials Made Easy post, I talked about how to create an everblooming garden so that your gardens are never dull and boring. 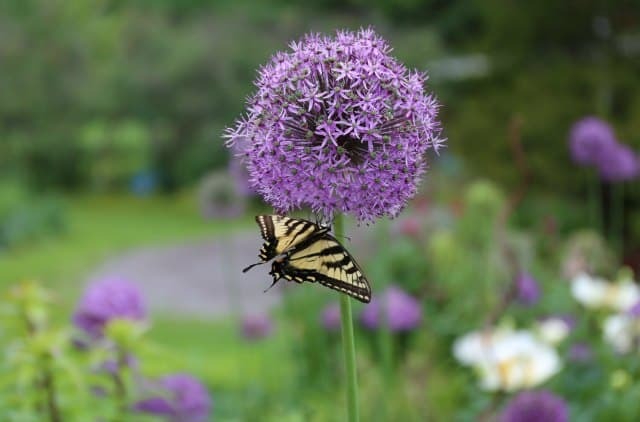 Well, a big part of that is incorporating spring flowers and bulbs into your perennial garden, and one of my favorite spring blooming flowers is the attention commanding, low maintenance, pest resistant allium. I don’t know about you, but I find that one of the hardest times of the year to keep my gardens everblooming is mid-spring. There always seems to be a short but awkward gap of time where the flowers on the early spring bulbs start to fade, but the late spring perennials haven’t quite started blooming yet. Well guess what, alliums are the perfect flower garden bulb to use to fill in that gap! Incorporating spring flower bulbs into an existing perennial garden takes a bit of planning. 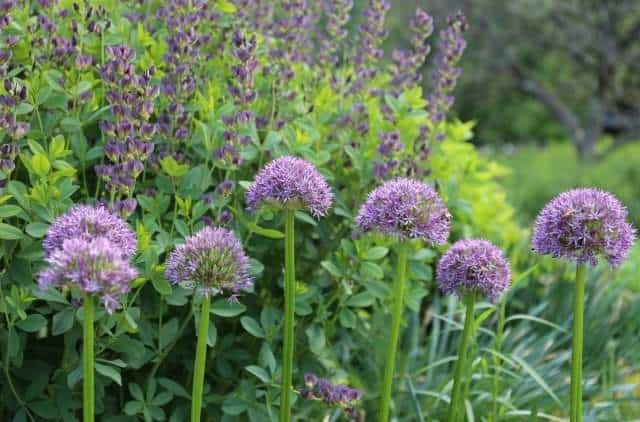 You’ll want to think about which plants will make great combos, or where there are holes in your garden that spring flowering bulbs can fill at the right time. 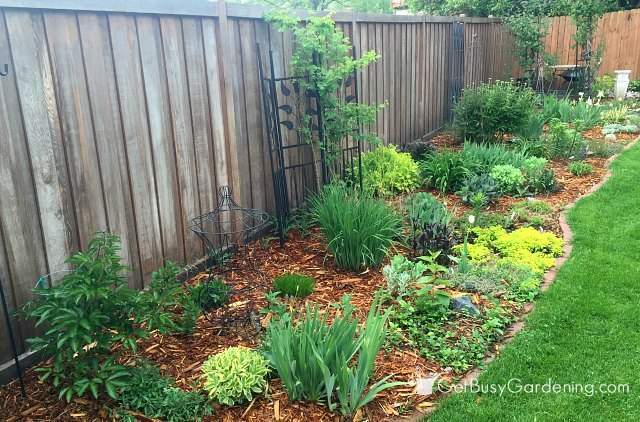 You don’t want to group all of the bulbs and perennials that bloom at the same time all in one area. 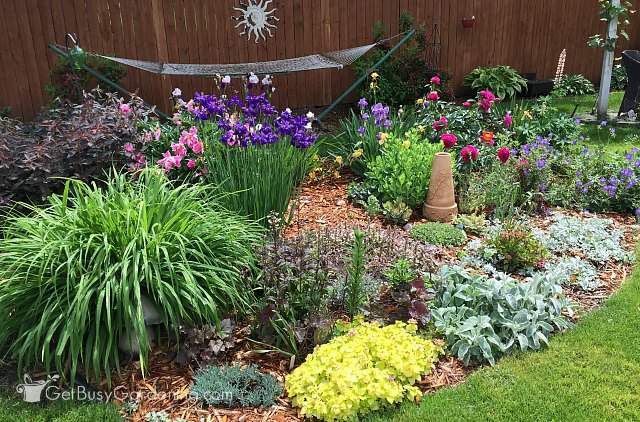 Try to space them out so there’s tons of color throughout the garden, and no huge gaping holes where your perennials haven’t started growing yet. Photos really come in handy here. I take photos of my gardens on a regular basis throughout the growing season so I can see where I need to add more color at different times during the year. So, if you can’t visualize what your garden looks like in the spring when the flowers will be blooming, then look back at photos you’ve taken of your gardens during that time. Don’t worry if you don’t have any photos, just go by memory and fill in the gaps between your perennials the best you can this fall. Then when spring comes, take a bunch of photos of the area throughout the spring and see what you like or don’t like. If there are any combinations you don’t like, you can always move your bulbs or perennials around next fall. Or add more to fill in any gaps you missed! Gardening is totally flexible. 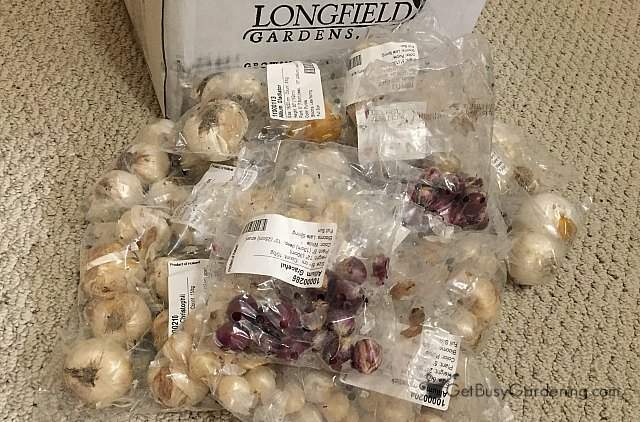 I ordered Longfield’s Bountiful Blooms allium collection to add to my perennial gardens, and I’m supplementing that with some of their white allium flowers. I chose two white allium flowers to add to the mix, Mount Everest and Graceful. The garden area that needs the most color in the spring is my large perennial garden. Below is a picture of my large perennial garden from this spring. Even though it has lots of colorful foliage to make it look gorgeous, it definitely needs some more spring flowers mixed in there! Large perennial garden in the spring – desperately needs some flower bulbs added! Look at all those bare spots – so much space for spring blooming bulbs! 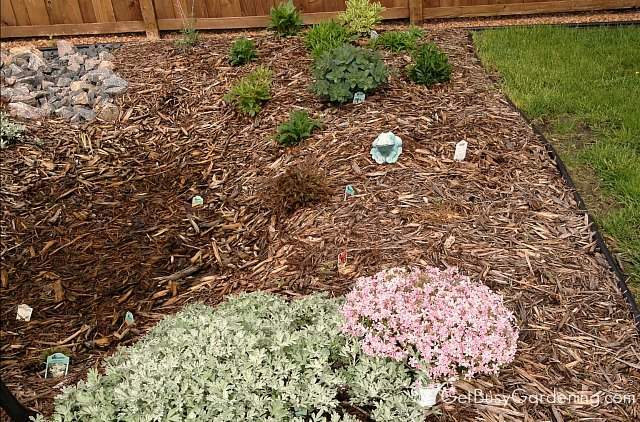 These bare areas are fully covered by perennials once the plants fill in during the summer. It’s going to work out perfectly because the perennials will start filling in just as the foliage of the alliums start dying back, hiding their browning foliage. Are you still struggling for ideas of how to mix alliums into your existing flower gardens? 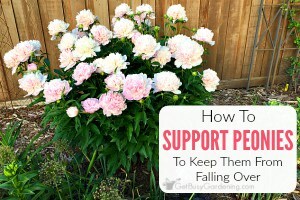 Here is a list of some of my favorite perennials that would be excellent complimentary plants, and help to create that everblooming garden of your dreams! 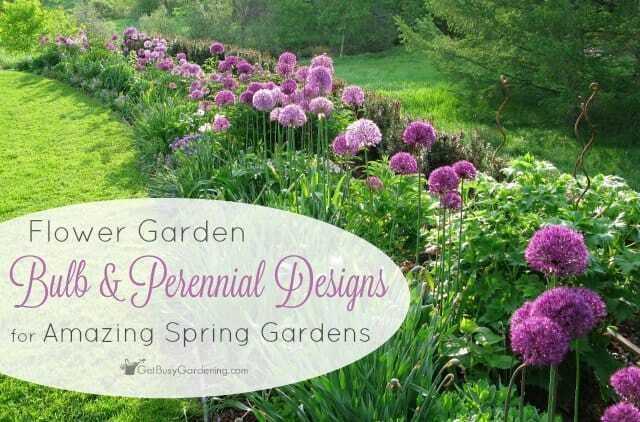 Flowering perennials: I’ll definitely be mixing some allium flower bulbs in with the spring flowering perennials I already have in my gardens to fill in that awkward late spring gap where nothing is really blooming. My favorite spring perennials are peonies, bleeding heart, irises, lupine, and poppies. Flower bulb cover plants: Ground covers make great flower bulb cover plants, and look amazing when mixed with spring flowering bulbs! My favorites include ajuga, stonecrops, moss, creeping thyme and creeping phlox. 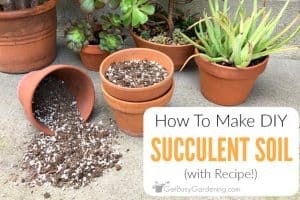 You can plant these right on top of your bulbs, and the flowers will grow through them in the spring. 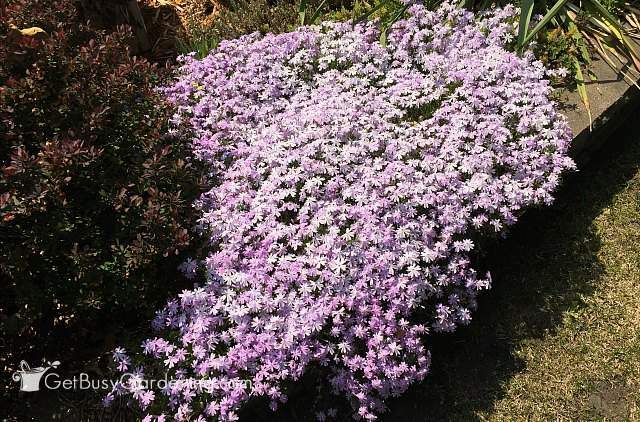 Spring blooming shrubs: There are lots of shrubs that bloom anywhere from early to late spring that would be great additions to an everblooming spring garden design. Some of my favorites are spirea, honeysuckle, weigela, lilacs and rhododendrons. Colorful foliage plants: Foliage is very important to help add color to gardens, especially in the spring. There are tons of awesome foliage colors that would look amazing with alliums. 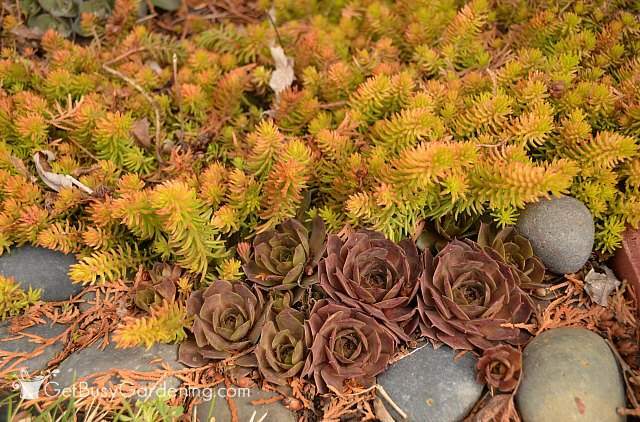 Plants like hostas, coral bells, sedums, lungwort, and colorful sedums or stonecrop to name a few. Other Flower Bulbs: Mixing alliums in with other spring blooming bulbs is another great option. Bulbs like tulips, hyacinth, crocus and daffodils bloom at different times throughout the spring too. To give you more perennial and flower bulb garden design ideas, Longfield Gardens has a few free garden designs to get you started. If you want to create a brand new garden area this fall, either one of these designs would be an awesome choice! 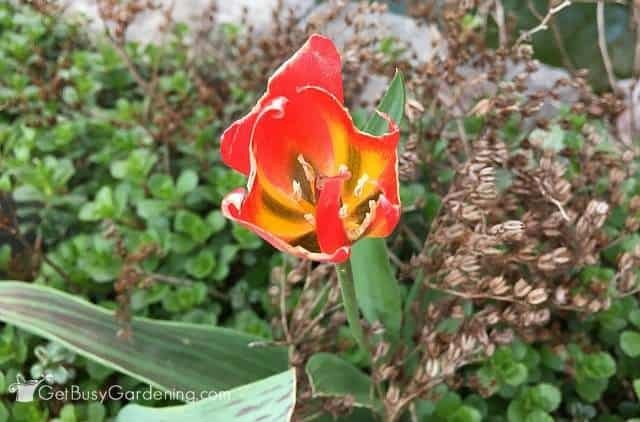 These free garden designs can also help give you some inspiration for how to combine bulbs into an existing perennial flower garden (like I’m doing with mine). Longfield Gardens has an awesome variety of allium flower bulbs to choose from, along with tons of other flower bulbs you can buy too, so be sure to check out their full selection. 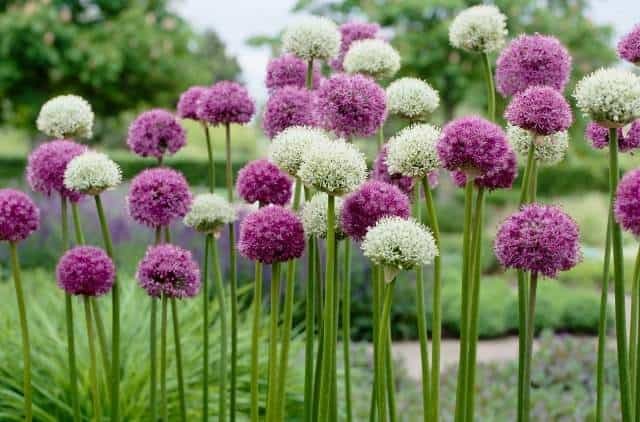 As I mentioned above, I’m planting their Bountiful Blooms alliums collection, and mixing in some of the Mount Everest and Graceful alliums into my gardens this fall. I can’t wait to see how gorgeous my gardens will look this spring with alliums added to the mix! I will definitely be sharing photos once they start to bloom in the spring, so stay tuned! 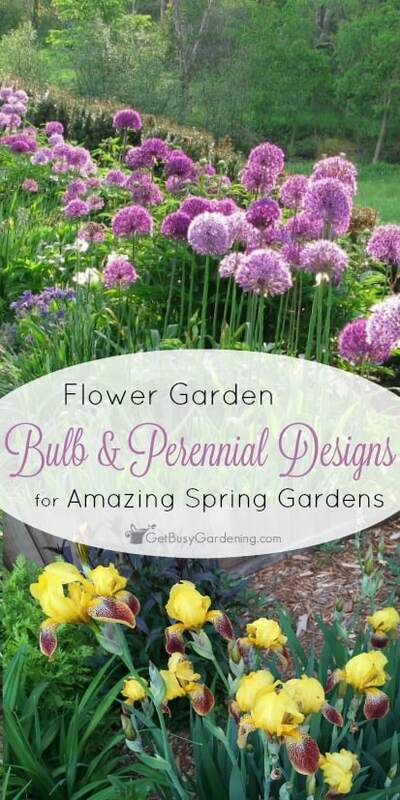 Do you have any flower garden bulb design ideas to add? Please share them in the comments section below. Allium photos were provided by Longfield Gardens and used here with permission. Great ideas…thanks for sharing! I can’t wait to see how your garden looks next spring with all the Alliums you plant this year. After I plant all the tulips and peonies I ordered this year, I wonder if I’ll have any space. I do love all the different ones. I have some of the larger ones, but my favorite are the drumstick allium. 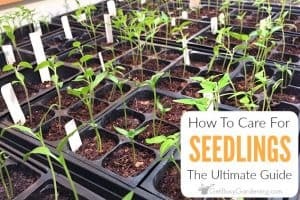 I also started a whole bunch from seed this year and can’t wait to see them bloom next spring. I’m working on developing a garden plan for my front beds. I don’t love my experiment from last year, and so I’m trying to rework and redesign. Thanks for the ideas. I love the idea of planting ground cover on top of the bulbs. 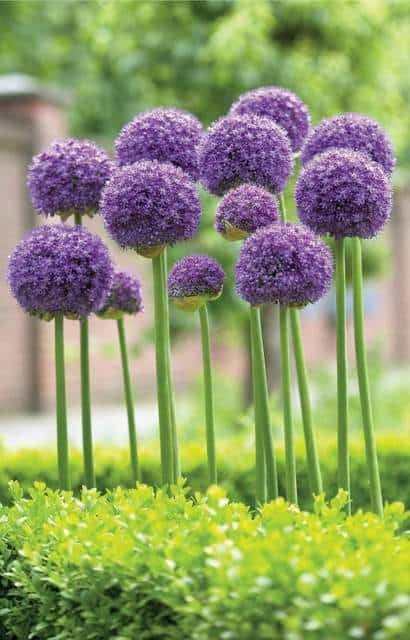 I have always wanted to plant allium in my yard; I think they are such a neat and unique flower. Thanks for linking up with Merry Monday!